After previewing the reinforcements of KIA, Blackwater, Barako Bull, NLEX, Meralco and Barangay Ginebra in part one, we now shift our attention to the recruits of Globalport, San Miguel Beer, Alaska, Purefoods, Rain or Shine and newly-minted Commissioners’ Cup titlist Talk ‘N Text. A familiar face whenever the import-laced conferences comes around, Arizona Reid made his return to the PBA last conference. But what was unusual was that he did so with the San Miguel Beer franchise instead of the Rain or Shine Elasto Painters, the team he served for three seasons, starting in the 2011 Governors’ Cup. He may have been one of the smaller reinforcements that played in the last conference, but the 6’5” Reid didn’t seem to be bothered one bit by his taller counterparts. 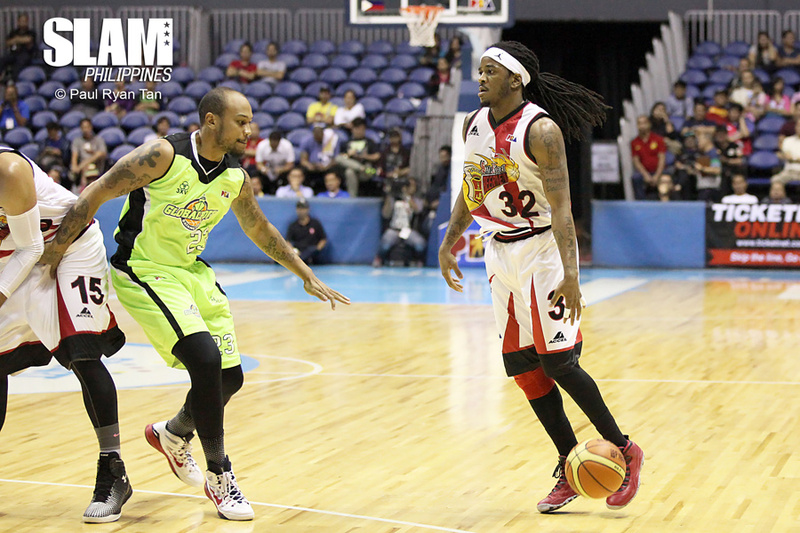 Reid put in per game averages of 29.0 points, 10.8 boards, 3.9 assists and 2.3 steals in seven games with the Beermen. Now making his return to his element, the Governors’ Cup, where he is the reigning Best Import, Reid is expected to once more dominate the opposition as the defending Philippine Cup champions look to bounce back from a sub-par outing in the Commissioners’ Cup. Possessing a unique hoops resume that included winning a national championship with NBA superstar LeBron James back in high school, Romeo Travis is set to bring his power-playing game to the Aces’ cause as the team seeks to have the same success that it achieved a season ago with now Miami Heat cager Henry Walker. A double-double machine back during his prep days at St. Vincent-St. Mary High School in Ohio, Romeo stayed home for his collegiate career as he attended the University of Akron. Playing all four years of NCAA ball, the burly forward normed 14.9 points, 5.9 boards, 2.0 blocks, 1.7 assists and 1.0 blocks in his senior year, and was named Mid-American Conference Player of the Year and an Associated Press All-American during the same season as well. Entering the pro ranks, Romeo trotted the globe as he saw action in Croatia, Germany, Russia, Spain and Ukraine, among other countries. But it was in Israel where he had the most success. In 2012, Travis was adjudged as the All-Israeli League Player of the Year, All-Israeli League Forward of the Year, and he got named to the All-Israeli League 1st Team, Israeli League All-Imports Team, All-Balkan League Forward of the Year, All-Balkan League First Team and All-Balkans League All-Imports Team by Eurobasket.com for the season. In that same season, Travis led his squad to a runner-up finish in the Israeli Premier League’s Regular Season and was also selected to play in the Israeli Premier League’s All-Star Game. 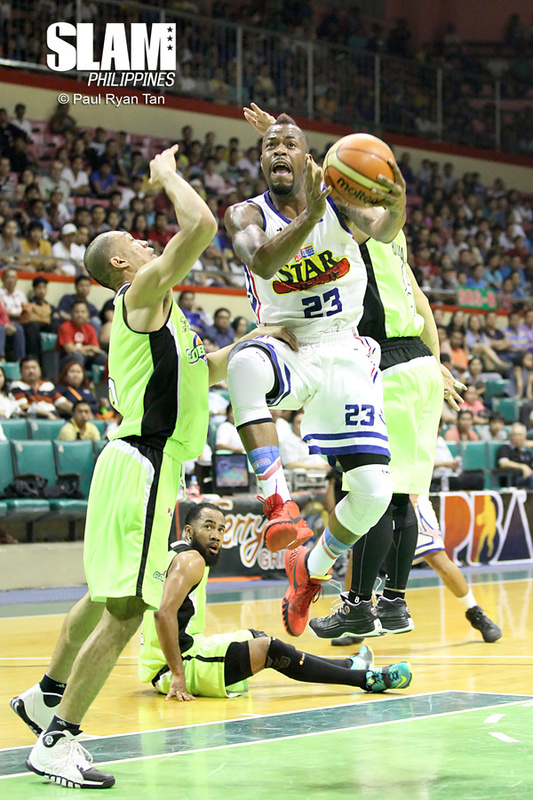 A proven old hand as seen in the pair of championships that he has delivered for the Purefoods franchise, Marque Blakely is back in town as an integral part of the Hotshots’ title-defense in this season-ending conference. Tapped by his mother squad to fill in temporarily while waiting for Daniel Orton at the start of the Commissioners’ Cup, Blakely played superbly despite being a stop-gap measure. At the end of his short three-game stint with the Star Hotshots, the 2013 Governors’ Cup Best Import was his usual Swiss-Army knife-self as he filled the stats sheets with averages of 22.0 points, 14.0 rebounds, 5.0 assists, 3.0 steals and 2.7 steals. With Blakely’s boundless energy and keen athleticism, the Hotshots will have more than a fighting chance of retaining the remaining crown from the team’s grand slam feat a season ago. Making the most of the handicap scheme, the Globalport Batang Pier shored up their frontcourt with a towering reinforcement in 7’0″ Patrick O’Bryant. Blessed with a 7’6” wingspan to go with his height, O’Bryant made the most out of his physical gifts by becoming a notorious rebounder and shot-blocker during his varsity days. In 2005-06, his sophomore and last season in college basketball before declaring for the 2006 NBA Draft, Bradley put up numbers of 13.4 points, 8.3 rebounds and 2.9 blocks per outing in 25 matches. At season’s end, he was named as the Missouri Valley Conference Defensive Player of the Year. The ninth overall pick by the Golden State Warriors in the 2006 NBA Draft, O’Bryant became an NBA journeyman, as he donned the colors of the Warriors, Boston Celtics and the Toronto Raptors from 2006-10. In all, he played in 90 career NBA games with averages of 2.1 points, 1.4 boards, 0.4 blocks, 0.3 assists and 0.2 steals. 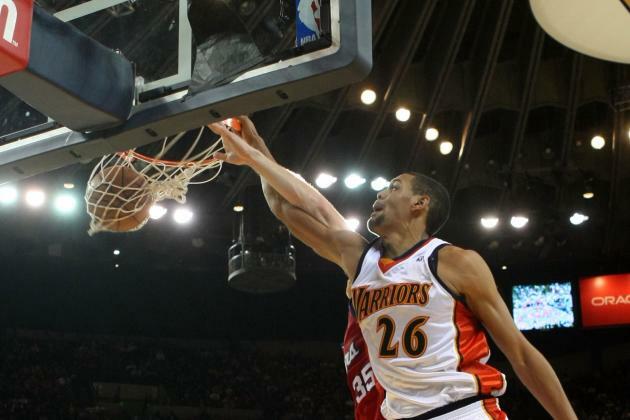 It was during the 2008-09 season that the slotman registered his best season as an NBA cager. Suiting up for 11 games for the Raptors, three of which he started, O’Bryant averaged 4.7 points, 2.5 rebounds and 0.8 blocks. O’Bryant also spent time in the D-League with the Bakersfield Jam and the Reno Bighorns. Similar to the path of other PBA reinforcements, O’Bryant also suited up for clubs overseas, such as Greek team Kavala B.C., Puerto Rican side Indios de Mayaguez and Super Basketball League team Taiwan Beer. A double overtime game seven loss was a painful conclusion to the team’s 2015 Commissioner’s Cup campaign, but life must move on for the Rain or Shine Elasto Painters. 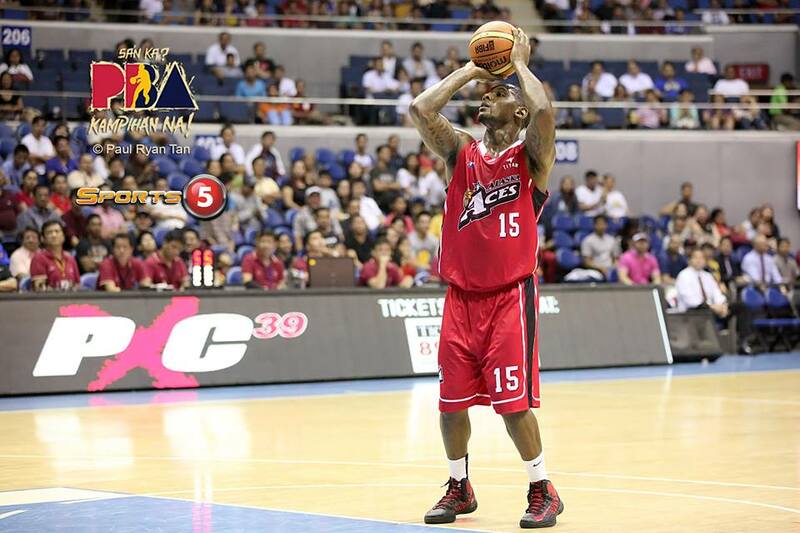 And looking to help the team’s journey in bouncing back from this debacle is PBA returnee Wendell McKines. Formerly of the Alaska Aces, McKines averaged a double-double of almost 30 points and 15 caroms to tow the Aces to the quarterfinals of the 2013 Governors Cup. A scoring machine and rebounding stud in college, McKines put up 18.7 markers and 10.7 boards per for the New Mexico State Aggies, making him the Western Athletic Conference (WAC) Tournament MVP during his senior season in 2011-12. With McKines in tow, the Elasto Painters will have another reinforcement adept at scoring, similar to what Wayne Chism did last conference. Should McKines be able to fill in Chism’s role, then Rain or Shine may just book another return trip to the championship round. 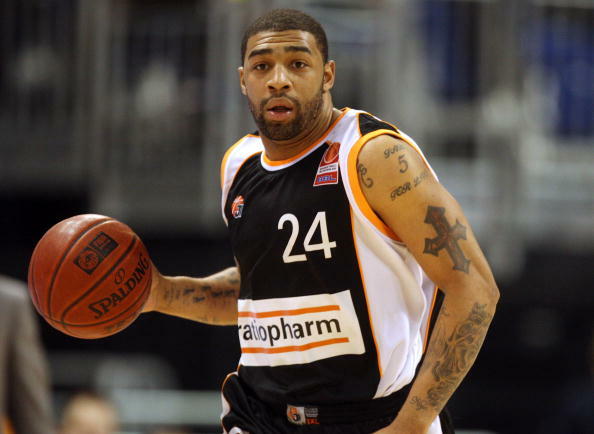 Aside from his stint in the PBA, McKines also played for the ESSM Le Portel club in the French Pro B league, Anyang KGC in the Korean Basketball League (KBL) and Ironi Ashkelon in Israel’s Liga Leumit, the second division of Israeli basketball. Looking to end the 2014-15 PBA season on a high note, the recently crowned Commissioner’s Cup champions Talk ‘N Text Tropang Texters have tapped the services of Steffphon Pettigrew to strengthen the team’s bid for this year’s Governors’ Cup championship. A former top HS player in Kentucky, Pettigrew was named the state’s Mr. Basketball in 2007 after averaging 33.6 points and 13.8 boards per contest for Elizabethtown HS. He would later matriculate with the Western Kentucky Hilltoppers for his collegiate career and became teammates with current Barangay Ginebra and Gilas Pilipinas standout Japeth Aguilar. During his four-year tenure as a Hilltopper, Pettigrew made his presence felt in the Sun Belt Conference. Apart from being a member of the 2008 and 2009 Hilltopper teams that won the Sun Belt Conference championship in back-to-back fashion, Pettigrew was also named as the Sun Belt Conference CollegeInsider.com Player of the Year in 2011. He was also named to the First Team All-Sun Belt in the same season after averaging 14.6 points, 6.1 rebounds and 1.3 assists during his senior campaign in 2010-11. Plying his trade abroad after college, Pettigrew balled in Puerto Rico, Mexico, Uruguay and Venezuela. Among the accolades bestowed to him include being named Liga Uruguaya de Basketball’s Quinteto Ideal and LatinBasket.com Uruguay All-Imports in 2012, as well as being named to the Mexican Liga Nacional de Baloncesto Profesional’s 2nd team All-League the following year.